When you’re looking for quality roofing services, the very first name that should come to mind is E&E Construction. For more than 10 years, we have been performing topnotch roofing work for a long list of satisfied clients. We strive to deliver the very best in every aspect of what we do—the best workmanship, the best products, the best practices and the best customer service. 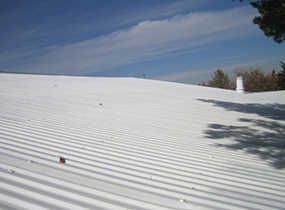 We provide a full array of professional roofing services for commercial and industrial customers throughout Ohio, West Virginia, Kentucky and Indiana. Our immediate service areas include Columbus, Cincinnati, Charleston, Parkersburg, Huntinton, Lexington, Louisville, Indianapolis, Fort Wayne and their environs. 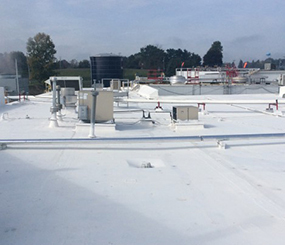 The crew at E&E Construction provides expert services for all types of commercial roofs, offering repairs, replacement, restoration and more. Our technicians are professionally trained and bring impressive knowledge and expertise to each and every jobsite. Our team knows how to do a job right and to deliver quality work, and we aren’t satisfied until our clients are. Can withstand Mother Nature’s worst elements—even hurricane-force winds! E&E Construction has been in business a long time—and there are many reasons for that. First, we are dedicated to the satisfaction of our clients and to providing them with high-quality services—facts that have not gone unappreciated by our many patrons over the years. We are also a Better Business Bureau-accredited member, and we belong to the National Roofing Contractors Association. Our track record speaks for itself. We have spent more than a decade providing customers with exceptional roofing work, and we put customers and quality above all else. We work hard to provide our clients with the very best roofing solutions and services to address their needs and fit their budgets. 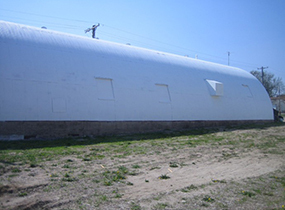 For all of your commercial roofing needs great and small, give E&E Construction a call today at (740) 331-0695. Our friendly, expert technicians are standing by to show you the true meaning of “customer service”!